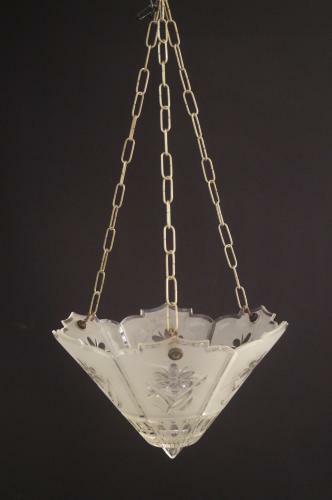 An unusual, Art Deco frosted cut glass ceiling light. English, circa 1920. Can be professionally wired for electricity.